To promote, foster and develop the playing of Ringette throughout the geographical boundaries of Zone 2 as set out by the B.C. Winter Games Society on behalf of the Government of British Columbia. To establish and maintain uniform League playing rules. To promote and encourage the formation of local associations. To formulate, publish, and administer policies beneficial to the sport and enforce laws and regulations governing the sport. To foster the highest standards of sportsgalship and friendliness. To promote Ringette as a mass participation team sport as a means of healthful exercise, improving physical fitness, mental health and social development. To stimulate public awareness and foster spectator interest. To promote orderly development of the game and to strive for conditions conductive to the safety of all participants. To encourage participants to strive for excellence in teamwork, team spirit and team discipline. To encourage both recreational, house league and All-Star competition. To recognize the right of individuals to play the sport at either the recreational, house league or competitive level. To conduct its operations in such a manner as to ensure that players are provided the opportunity to play Ringette at all levels. To increase the number of participants. To govern the sport in keeping with the philosophy and objectives as set out in the Bylaws of the League, the British Columbia Ringette Association and Ringette Canada. To be the official contact with BCRA. To call and preside at all meetings of the League and be the chairperson of the Executive Committee. To be one of the signing officers. To be an ex-officio member on all committees with the right to vote on that committee. To undertake leadership in promoting the objectives of the League. To be responsible for ensuring that all administrative procedures and communications are carried out. To be responsible for ensuring that the League adheres to the policies as laid down by BCRA. To assist the Vice-President and Treasurer with the budget. To be responsible for ensuring that the League is represented at the B.C.R.A. events, such as, the Annual General Meeting, Workshops and Presidents Meetings. To be familiar with all grant programs and guidelines provided by the Government and make said programs known to all Associations. To perform duties of the President in her absence. To be responsible for all activities related to organizational planning, including planning and organizing seminars, conferences and workshops. To coordinate the preparations of the League's annual program, including assisting the Treasurer and President in budget preparation. To be responsible for planning and coordinating the sport and/or organizational development aspect of the BCRA Annual and Semi-Annual meetings and the League's participation therein. To be responsible for information on blanket insurance coverage for all members of the League. To be responsible for ensuring the fair distributions of ice and game scheduling for all members of the League. Keep an accurate record of all League meetings. Conduct all correspondence for the League. Maintain a roll of all members and their officers. Send out notices of meetings and copies of the minutes to appropriate persons, a minimum of ten days prior to any meeting. Be one of the signing officers. Be the principal signing officer for all cheques. Collect and deposit all money belonging to the League in such bank as she shall select and keep an accurate record of same. Disburse funds by cheque, countersigned be the President or Secretary. Submit a financial report in writing at each Board of Directors and Executive committee meetings. Send a copy of the Annual Financial Statement to each member. Prepare the annual budget in concert with the President and Vice-President. Works in conjunction with the League Registrar. To act as interim President in the event of the death or resignation of the President and serve as the chairperson at the next meeting called to elect or appoint a new president. To be an advisor to the Executive. Serve as chairperson of the nominating committee for the election of officers at the Annual General Meeting. Each Member Association shall designate one (1) voting League Representative. It is recommended that each Association be represented by their President. To monitor Zone 2 player registration and maintain a League registration system. To monitor League registration on a team basis by receiving a copy of the completed BCRA registration forms by the 30th of October of the playing season. To ensure that teams register in their appropriate age groups and appropriate player categories. Any association that has a new player registered with them after December 15th of the playing year must submit the new player's registration form plus fee to BCRA, by January 15th, with a copy to the League so that injury insurance is in effect before the player participates in the Ringette program. To send completed scoresheets to BCRA on a monthly basis. To be the registration liaison person with BCRA. Be responsible for all League coaching programs and oversee the coaching committee. Along with a qualified committee, evaluate teams, as required, for provincial competition catagories; i.e. A, B, or C.
Be responsible for the right to recommend suspension of any Coach for conduct unbecoming of a Coach with the proviso that said Coach reserves the right to appeal such a decision to the League Board. To assist all Officials in League play with the cooperation of the member associations. Be responsible for the ongoing development and updating of officials and ensuring evaluations are done whenever possible. To be the liaison with the Director of Officials of all member associations and BCRA. Be responsible for establishing consistency in officiating throughout the League. Be the interpreter of any rules. Be responsible for the right to recommend the suspension of any Official for conduct unbecoming of an Official with the proviso that said Official of the League reserves the right to appeal such a decision to the League Board. Association Membership fees shall be determined annually by the League Board of Directors. The fee for Player Membership shall be determined annually by the League Board of Directors. The League recognizes the President of each Member Association as the Official Contact (representative) in all maters, unless otherwise directed in writing by the President of the Association or by a resolution, in writing, by a majority of the Association. Mailing Address - The mailing address of the League shall be that of the League Secretary. The Annual General Meeting of the League shall be held prior to the B.C.R.A. Annual General Meeting and shall be an open meeting. The League Executive shall present a proposed annual budget not later than May 31st. Preparation of the budget shall be the responsibility of the President, Vice President and Treasurer. Signing Authority: The President, Treasurer and Secretary will act as signing authorities and any two of these three positions are required to sign for the League. Payment of Bills: The Treasurer shall pay all bills for expenditures which have been either duly authorized by the Executive at an Executive meeting or are within the approved amounts set out elsewhere in these guidelines. The League shall provide travel assistance to the President or designated representative for the attendance at the BCRA Annual General Meeting. Telephone calls made by the Executive shall be charged to their home phones and the bill submitted for subsequent reimbursement. All long distance bills must be supported by a note of explanation, if required. Expense claims should be filled on a monthly basis with the Treasurer. Advance payment to the Executive may be approved at the discretion of the Board. Executive expenses outside of those mentioned above should receive prior approval of the Board. Receipts for all expenditures along with money not spent must be submitted to the Treasurer. The Association membership fee shall be assessed annually per Association and due upon receipt of invoice. The player membership fees shall be assessed annually per player and due upon receipt of invoice. ASSOCIAITONS MAY PLAY against each other provided that they adhere to the policies of the League and BCRA. The purpose is to allow teams to have fun and enjoyment of playing in different communities. Associations may only use their own registered players from within their own Association unless otherwise agreed upon by the opposing team. All players, coaches, assistant coaches, trainers, managers, etc. must be registered with BCRA. Any injuries during these games must be reported to BCRA in writing via the player's home Association secretary within two weeks. The home Association will be responsible for providing two referees for each game. If the home Association can only provide one referee, that referee should be paid double the rate. Payment of referees is the responsibility of the home Association. In case of team sweaters being the same colour, it is the home team that must change. BCRA Registration Forms shall be used for League teams. House League policies are the responsibility of each association. In any house League play, it is the responsibility of the host association to advise visitors of House League rules in advance. 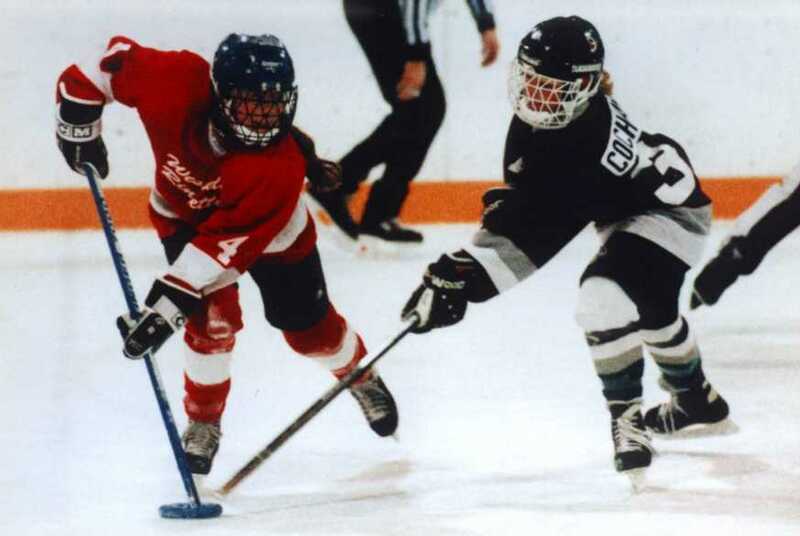 All registered ringette Associations and ringette Leagues in BC adhere to eligibility and criteria for Provincial tournaments as governed by BCRA. At all inter-association games the official game sheets of BCRA must be used. Team registration must be in with fees and approved identification (birth certificates, Christening Certificates or Medical Cards) by the 31st of October. Each Association must send top 2 copies of game sheets to League Registrar once a month. The Registrar will retain 1 copy for evaluation of teams for Provincial tournaments and forward 1 copy to BCRA for confirmation and approval of the League's decision. Any player who receives TEN (10) minutes in accumulated penalty time in ONE game shall be ejected from the game. Thompson Okanagan Ringette League comprises Zone 2 of BC Provincial Recreational and Sports Zone. Summerland, Kaleden, and Okanagan Falls. Equipment must adhere to the Ringette Canada Rule Book. Close fitting neckguards are mandatory for all players registered in B.C. The League will advise all Associations to try and avoid conflict with existing Associations. Red with Black and White will remain in use for TORL Allstar Teams. Lumby White with Gold and Green. Any Coach who is suspended by BCRA and/or the League is prohibited from any on ice activities. Any Coach who removed her team from the playing area during a game shall forfeit the game and be suspended immediately, and shall remain so until TORL makes a ruling. Such suspension to be in effect until appearance of said coach (accompanied by her local President) before the League Board. Coaches can refuse to play games anywhere if there are not two referees to officiate. If a game is cancelled for this reason, the visiting team will not be charged for ice. No overage players are allowed to play in inter-association games. Any team using an overage player will forfeit that game. Any coach allowing an overage player to play on his team will be suspended from the next scheduled league game. It is recommended that all new coaches attend the Officals basic clinic. Rules update clinic for coaches at the beginning of every season is mandatory if available. Officials shall conduct themselves in a professional manner and follow all guidelines set down by BCRA. Referees will not have numbers on their jerseys. Any official who removes himself from the ice during the game (except in case of illness, injury or emergency) shall be suspended immediately from officiating any game until the appearance of said official before the League Board. If using only one official, said official shall be paid double. All officials must take a refreshers course during a rule change year. (Level I must retake full course, Level II and above must take the refreshers course. Associations holding a Sanctioned Tournament must use only those refs belonging to the BCRA Officials Association. Every effort must be made to have no officials refereeing in their own division or above. If this is not possible, special consideration may be made. Level I Clinics should be funded by the local Associations (books, guides, etc.). Then if the Official wishes to upgrade to Level II and Level III, they may do so at their own expense. There should be at least one Level I Clinic provided within the League boundaries each season. The League Director of Officials should be a working referee. Residency is defined as where a player lives the majority of her time. A player registering for the first time in BC must register with the local Association having geographical jurisdiction over the player's residence. A player may not be registered with any other Association except the one where the player resides unless a release or transfer form is filed. A player may not be registered with more than one Member Association at a time. Players living outside designated Association boundaries have the choice of affiliation for the first year. Once they have joined the Association, it becomes their Home Association and they become governed by the same rules as applied to other players. The local Association is responsible for ensuring that each player is either a resident within the jurisdiction of that Association or is a resident within an area which is not within the jurisdiction of another Association. Any person found to be soliciting players to transfer shall be suspended immediately from Ringette with the right to appeal. Any coach and/or Association which allows a non-transferred or non-released player to participate in any on-ice activities with his team or Association shall be immediately suspended (and/or fined $50.00 per week) from all BCRA sanctioned events. The BCRA has the final decision on all transfers and releases. Player releases are valid for a period of one year after which the player must return to her original Association. There is no team in the player's age division in her Association. There is no team of her calibre of play in her Association. Transfers are permanent. A $10.00 non-refundable fee must accompany all transfer requests. A player ceases membership in a private club ($10.00 fee is not required in this case). Player Releases and Transfers must be postmarked by November 15 of the current playing season. No Releases or Transfers after this date will be entertained except for a change of residence. A player who would like a Release or Transfer must apply to her Home Association first for a Releast/Transfer form. The Home Association must supply a written Release/Transfer within seven (7) days of a player's request (BCRA forms must be used). Copy of form to player and to new Association. If the Home Association refuses to grant a Release/Transfer, it must supply a reason in writing to the player, BCRA and the accepting association. If a player does not agree with her Home Association's decision, she as the right to appeal to BCRA. BCRA forms must be completed and signed by the accepting Association and parents of the player (if under the age of 19) before contacting BCRA's Appeal Board. The new (accepting) Association must, within seven (7) days, supply the BCRA with a signed Release/Transfer form for BCRA approval. BCRA to approve or reject within seven (7) days. All Releases and Transfers must be signed by both Association Presidents before the player is allowed to participate in practices or games for the new association. Failure to do so results in player being illegally registered. Player may play with her new Association pending approval of Release/Transfer from BCRA. Combo Teams may be formed between Association where membership is not enough to form a team of their own in a Division. These teams shall play as a Combo Team on the League Schedule. Associations wishing to form a Combo Team with another Association(s) must apply in writing stating the number of girls available and in that Division. If more than two (2) Associations wish to Combo, the League will make the decision where the girls will play, to ensure that all teams are equitable in numbers. Once the decision is made, the Associations wishing to Combo must agree to and financial and practice agreements. The League must be informed of all final arrangements before league play begins. BCRA must be informed by the said Associations and League no later than November 15. Associations comboing will only play with that team for the season. The cancellation of any games must be done within the time frame of the Host Association's arena cancellation policy. These will be given out to every Association at the beginning of the playing season. If not available, 10 days notice will be in effect. In the case of an emergency, rescheduling of the game is recommended. This will be at not cost to the canceling team. Note: Emergency is defines as a death of a player, coach, team staff, or relative of a player, coach, or team staff or sudden serious illness or injury of a team player, coach or team staff or relative of a player, coach or team staff. In the case of bad weather, cancellation is recommended. The decision to cancel due to weather conditions will be made by the coach of the travelling team. Note: Bad weather means: white outs, snow storms, road closures, conditions which may pose a real danger to those team members travelling and in the event of radio broadcast warnings. If any team does not show up for a scheduled game and has not made the effort to cancel the game within the prescribed period of time, the Host Association may request full payment of ice costs and official fees. In the advent of weather conditions, the travelling team must advise the Host of the cancellation as soon as is practible. In the even of a team failing to show for a league game without following policy as set down, the team may receive a fine to be determined by the league. The said fine, once levied, must be paid within thirty days of assessment. Any fine assessed will be above the cost of ice, monies from the adjudication will be paid to the League and will be used to the benefit of all League Associations. The Host Association must notify the offending team in writing that payment has not been received. If after 30 days, payment has not been received, the League is to be advised. Associations are encouraged to settle disagreements by discussion through the respective Presidents. If a disagreement cannot be settled in this manner, a letter must be sent to the League Board before the next scheduled meeting to be included in the agenda. The Association that has written the letter of complaint/grievance will have an opportunity to state their case at the meeting. If the issue cannot be resolved at the League meeting, the League Board will appoint an arbitrator to meet with the two parties who will report her/his recommendations to the Board. Those Associations directly involved will abstain from casting a vote. The Board's decision will be final. Appoint a Head Coach of each League All-Star team which could be Junior, Belle and Deb. The League will send letters of invitation to all eligible coaches. Applications for the Head Coach positions will be accepted in writing to the League on or before the 30th of April. Applicants must have Level 2 Certification. Applicants shall be members of B.C. Ringette Associations and shall be in good standing. BCRA has final approval of all Head Coaches. Approve Head Coach selection of Assistant Coach and Manager. Assistant Coach must have Level 2 Certification and that Manager must also be certified. On of the coaching staff must be female. A fee approved by the League will be assessed for each Association with players on the All Star Teams. Any player accepted on the All Star Teams must be a registered player member of their home association. ARTICLE 10 - TOURNAMENTS Refer to the BCRA Policy Manual Article VIII - Games and Tournaments.